CATTLE graziers in the Lockyer Valley are suffering in silence as bores dry up, feedstocks run low and fears of a rainless winter intensify. It may look green in some irrigated parts of the Lockyer, but if you look to the Tenthill valleys, Blenheim, Ropeley, Glen Cairn and Adare, paddocks are turning to dust. Graziers who make a living off their farms are being forced to slash herd numbers, even selling their prized breeding stock because they can't afford to feed them. Adding insult to injury, Centrelink considers the sale of any animal as personal income, meaning people who have to sell their breeders will likely lose their Farm Household Support entitlement. 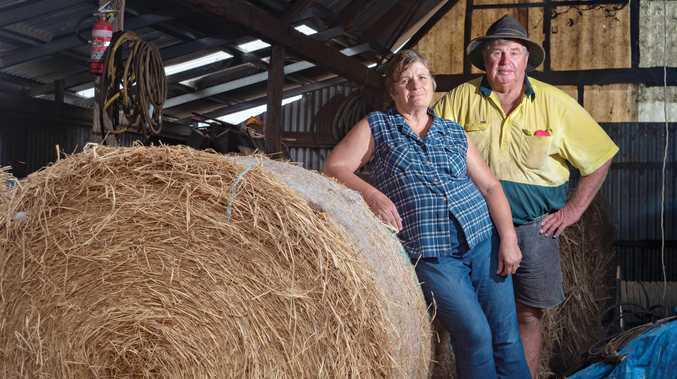 "As a farmer, it's actually quite humiliating to have to try and get help and to have Farm Household Support and that sort of thing," a grazier's wife who asked not to be named told the Star. "It's really demoralising and humiliating, and you have to tell yourself daily 'this drought is not of my doing'." 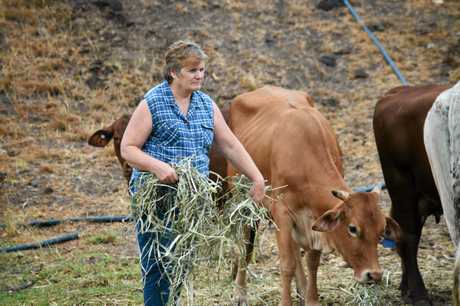 She and her husband agreed it was "fair enough" for Centrelink to count regular animal sales as income, but likened selling heifers and cows to a farmer selling a tractor. When it does eventually rain and their farm recovers, the grazier said he'd like to continue farming. But if the drought lasts and they have to spend all their capital on living, they'll have nothing to buy new stock with and won't be able to rebuild their herd. "We've been through floods and droughts and this has been the worst it's ever been - the pressure for us," the grazier said. When he was a boy, the large family cattle farm he still manages received about 71-76cm of rain a year, whereas now it gets about 38cm. "You live with drought and you run your farm according to it, but this (is) drought on drought," his wife said. She measures the rainfall on their property and said that in the past five years it had received 25cm less per year than the long-term annual average. For older farmers, the drought is presenting an impossible hurdle, forcing them to either retire or sell their business and land. Ropeley farmer Graeme Becker said there had been no change to the funding available to help farmers since the Lockyer Valley was declared drought affected in May last year. His 60 head of droughtmaster and 40 sheep are "getting by" thanks to the waste vegetables he finds for them daily. "Out there, there's people (who) are bleeding," he said. Irrigators were worried too because aquifers were drying up. He said the water tower where people could pay to fill tanks was always busy, with animal producers queueing for a truckload of water. 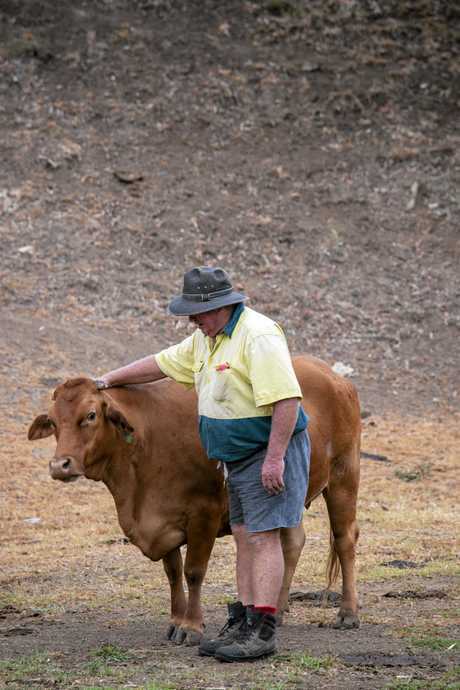 Semi-retired "animal whisperer" Chris Hall, who ran the Lockyer Valley Riding School until it closed, is about to sell his last 14 cows because of the drought. His bores are "sucking mud" and his animals won't survive the winter on vegetable scraps. "My animals... they're like pets," he said. "It's very heart-wrenching to sell off cattle that you've had for years." He said the weather was all anybody talked about. "I can ring up any mate in the valley and the first thing they say when they pick up is 'how much rain (did) you get last night?'" Bob Fowke, 80, went to school in the Lockyer Valley, moved away for his work as an overseer and 50 years later returned to the valley to retire. "I've seen the effects (of drought), how it decimates a district and brings them to their knees," he said. "They need every bit of help they can get - and it's very hard, some people are very private and they'll never admit that they're on their knees. "But I'm afraid... it's the strength of voices, it's the squeaky wheel that'll get the oil." 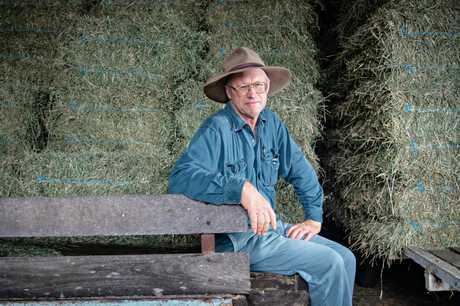 AS THE sun sets on the region's prime hay growing season, producer John Lester worries his customers won't get through a dry winter. 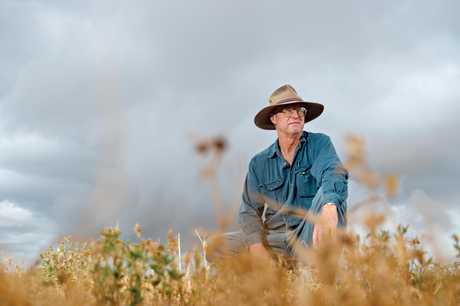 The fifth-generation Lockyer Valley farmer has an irrigated property northeast of Gatton and supplies livestock producers, but he has halved production this year because of the drought. He's supplying existing customers only, and is barely able to do that. Mr Lester is 59 years old and has been farming in his own business since he was 18. Like all farmers and graziers in the region, he is acutely aware of the weather. "I think it's the worst it's ever been," he said. "The last decent rain we had was back in October." Mr Lester said the groundwater supplies were dwindling or non-existent, and while he'd been able to survive financially, if it didn't rain soon his business's cash flow would be severely affected. A lot of his customers were starting to "panic buy", he said, wanting to stock up on hay to keep their stock alive through what looked like being another very dry winter. "I want to try and keep supplying them all, but it starts to get very difficult after a while because demand increases and production eases off," he said. Usually at this time of year he would have plenty of hay to go around, but only two of his five paddocks are producing at the moment because that's all he can afford to water. "When you've built up relationships with people over a number of years, it's a two-way street... you look after them, they look after you," he said. "That's what business is based on, it's... good relationships with each other. And no one wants to see that disappear. "You don't want to send people away because they might not come back when times come good." Mr Lester is hoping for 25cm of rain across about six weeks. He said a big downpour with the ground as dry as it was would do more damage than good. Rural financial counsellor Zoe Burke said she expects demand for her services to increase in the Lockyer Valley as "things are deteriorating". 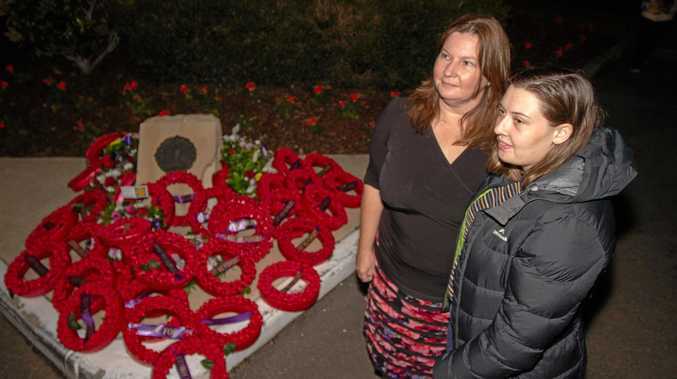 "There is the grazing industry but also horticulture and other cropping enterprises in the Lockyer that's being impacted by less groundwater and natural flows," she said. "My message to people is to not self-assess and not worry about reaching out. It can be difficult to work out where to go for assistance." She said the Rural Financial Counselling Service provided free and confidential assistance to farmers in financial distress to help identify options to manage and improve their financial position. This may include access to financial assistance programs such as the Farm Household Allowance. For assistance, please phone the Rural Financial Counselling Service on 0477056074.